I want to change our overflow emulation code of the Pixelshader. As the real hardware uses integers in the TEV, there may be overflows. But current PC hardware always uses floats in shader, so it's hard to emulate the overflows correctly. But the current implementation isn't stable as it overflow at exactly 256.0 instead of the middle of two valid values 255.5. As this may also fix other known issues, you could try all known issues which have some random pixel errors. Tested the Smash Brothers Melee Background flickers and the Super Mario Sunshine TEV issue. Both issues are fixed. I'll test some more games later to check for regressions. 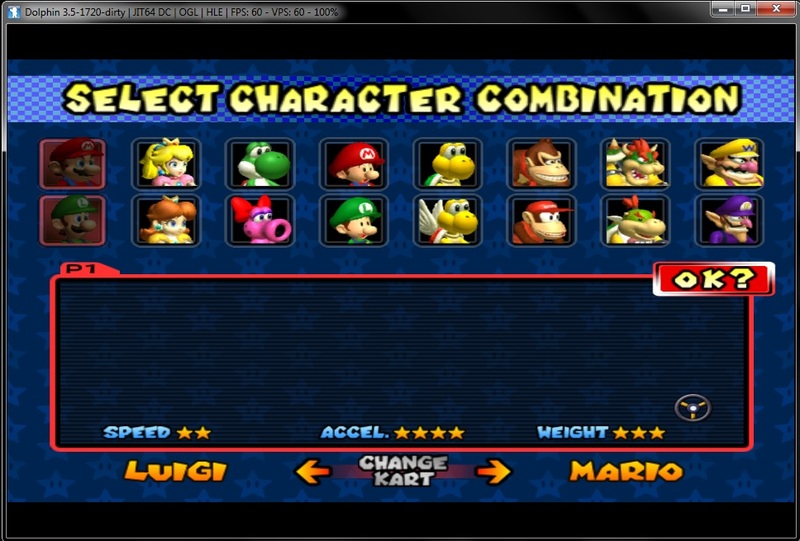 As explained on IRC, MKDD with OGL doesn't show the Kart and the characters in the bottom box. DX9/11 works. Works with the latest master build, too. I love testing Dolphin but I am a little confused. Are you looking for folks to test any game for regressions or is there a specific type of game (or some commonality for the games) that should be tested for regressions? All of these games played as they did before. I noticed no graphical anomalies. This has probably already been tested, but the Pink Water at Night issue (3313) in Wind Waker is fixed by this on all backends. As always, I double checked and reproduced it in master just in case. There's the 'all known issues' link in the first post that you're suppose to follow and test. It's more importend to find regressions. So just use this build for lots of games and search for unknown issues.